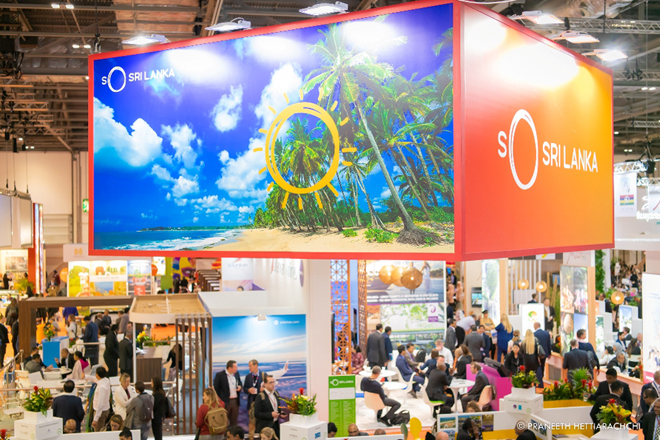 Nov 09, 2018 (LBO) – Sri Lanka Tourism launched its new destination brand identity entitled ‘So Sri Lanka,’ at an event at the Grosvenor House London Ballroom, coinciding with the World Travel Market (WTM) 2018. The new brand identity was launched in the presence of the Tourism Minister Vasantha Senanayake; Member of the House of Lords the Rt. Lord Naseby; MP for North-East Hampshire & the UK PM’s Trade Envoy to SL Ranil Jayawardena; High Commissioner to the UK Manisha Gunasekera; Mayor of Harrow Council Kareema Marikar. 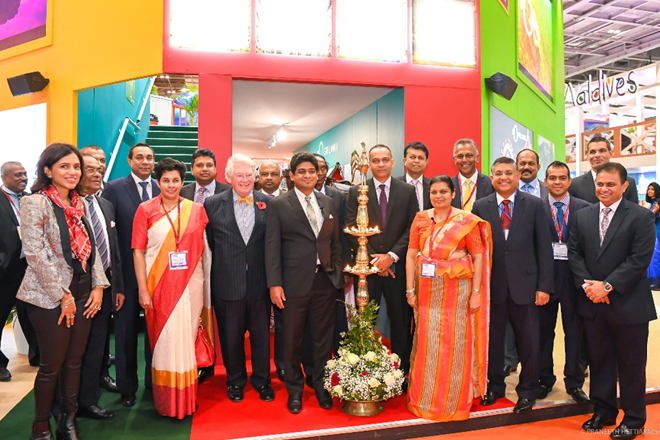 High Commission of Sri Lanka in London said the WTM, held from 5 to 7 November 2018 at the Excel Exhibition Centre, London, was attended by over 60 industry partners from Sri Lanka, among others. Speaking at the new destination brand launch, the Tourism Minister stated that the ‘So Sri Lanka’ concept embraces everything Sri Lankan and captures all that Sri Lanka has on offer, and he expects tourism to become an even more significant contributor to the country’s economy in the future. Lord Naseby observed that Sri Lanka in its very composition – geographically compact, naturally diverse, culturally dynamic and contemporary in outlook – is very clever and enticing for any type of British traveler, and able to compete with the best destinations across the globe. The Sri Lankan pavilion showcased traditional Sri Lankan dance, sweetmeats, and the proverbial Ceylon tea, providing a unique opportunity for visitors to have a glimpse into the culturally rich traditions of Sri Lanka. A press conference was also held on 6 November to address over 80 travel media on the multi-faceted attractions of Sri Lanka. The WTM is a leading global event of the Travel and Tourism industry, attracting more than 35,000 visitors, 5,000 exhibitors and over 2,000 travel agents and tour operators and the leading global travel media annually. Meanwhile, in two separate events held on the sidelines of the WTM o 6 November, Lonely Planet recognized the best in travel 2019 destinations where Sri Lanka received recognition as its No 1 destination for travel in 2019. Cinnamon Elephant Project by Cinnamon Hotels Management Sri Lanka won the silver award under the ‘Best in Responsible Tourism’ category at the International Travel and Tourism Awards 2018. Sri Lanka’s new brand identity was created by J. Walter Thompson Sri Lanka and also saw the culmination of many ideas from several key industry stakeholders who infused their thinking and recommendations for creating it. The Foreign Ministry said the branding campaign aims to engage primarily the millennial travelers, who will comprise 50 percent of global travel revenue by 2020. In recent years, Sri Lanka has made vast strides in the tourism industry and caters to a wide range of interests and tastes of those visiting the country. The United Kingdom continues to be the largest exporter of tourists from Europe to Sri Lanka and Sri Lanka’s third largest tourism market. In the ten months to October 2018, the total tourist arrivals from the United Kingdom to Sri Lanka saw a 23 percent increase in comparison to the previous year.